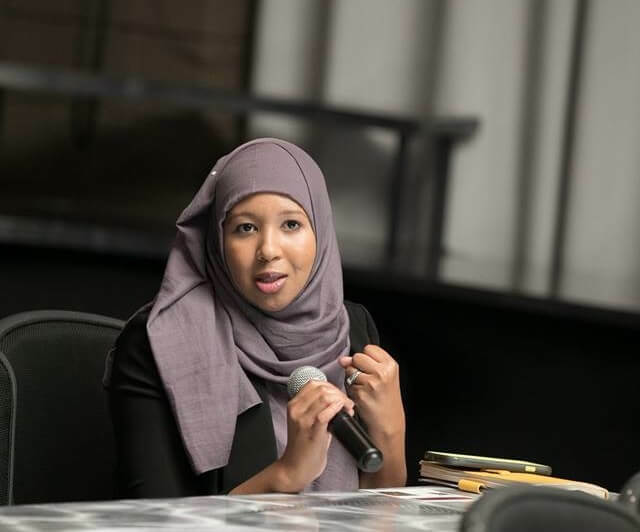 Regina Elmi is a co-founder of the Somali Parents Education Board and believes the biggest role in this world is being a parent. She considers it a privilege to be working with parents like her every day and learning from them. Regina believes if we want to close the opportunity gap, parents and youth must be involved in conversations about systematic racism. She is a champion of community leadership and placing parents in leadership roles so they are the ones advocating for our children. Working alongside other parent leaders to interrupt systematic racism. The Somali community is a very resilient, overcoming, and surviving every obstacle that comes our way. This is true from colonization to destruction and civil war to new foreign places in which they learned to strive and grow. When I was in eighth grade I finished my English as a second language classes, so going into freshman year I wanted to take honor classes. My guidance counselor informed me since I just left ESL, I would fail an honors class, saying, “You wouldn’t even make it through the first week.” My parents at the time couldn’t advocate for me because of the language barrier and our cultural belief that teachers have your best interest in mind. I went to an African-American teacher whom I trusted and told him the story. The following week he went to the guidance counselor to advocate for me and got me into the class. This I believe is what lead me onto this path. 4. Who’s your favorite social justice advocate, living, dead, or fictional? Dr. Hawa Abdi, a Somali-born doctor who dedicated her life to serving the Somali people through building sustainable institutions in health care, education, agriculture, and social entrepreneurship. Your ZIP code should not define your quality of education. My hope is that we make a positive impact in education so that our children thrive in their education. …balancing the scale so we are all playing a fair game. My faith, my community, family, and those who have paved the way.